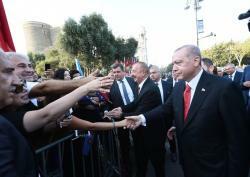 Following a solemn parade to mark the 100th anniversary of the liberation of Baku, President of the Republic of Azerbaijan Ilham Aliyev, President of the Republic of Turkey Recep Tayyip Erdogan arrived in front of the Maiden Tower. The heads of state signed the single-valued memorial block and first day cover themed “The 100th Anniversary of Caucasian Islamic Army`s Entry to Baku”, which commemorated the saint martyrs who fell to the ground for the liberation of Azerbaijan. 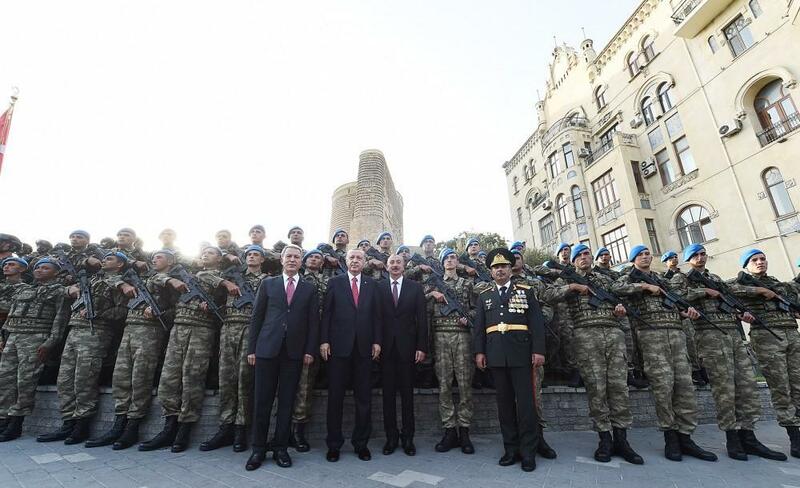 Then, President of the Republic of Azerbaijan Ilham Aliyev, President of the Republic of Turkey Recep Tayyip Erdogan and Azerbaijani first lady Mehriban Aliyeva posed for photographs together with parade participants in front of the Maiden Tower. 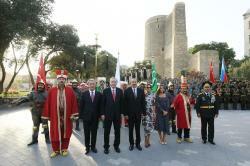 Residents and guests of Baku welcomed President Ilham Aliyev and President Recep Tayyip Erdogan with great enthusiasm. 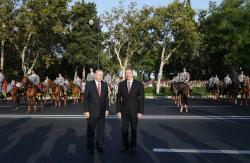 The heads of state then walked along Baku Boulevard.